Unfortunately for Samsung, the Galaxy A50 with its starting price of Rs. 19,990 competes with Xiaomi's Poco F1 (Review) which features the top-end Qualcomm Snapdragon 845 processor. That's obviously the better choice of phone if you're a gamer or want the smoothest possible experience, but it doesn't have three rear cameras or a modern all-screen design. We'll be running our usual battery of tests and using both phones out in the real world, and we'll soon bring you our detailed reviews of both phone's performance, display quality, camera quality, battery life, software, usability, and durability, so stay tuned to Gadgets 360. Samsung Galaxy A50 First Impressions: Prism(ing) its way to the glory? 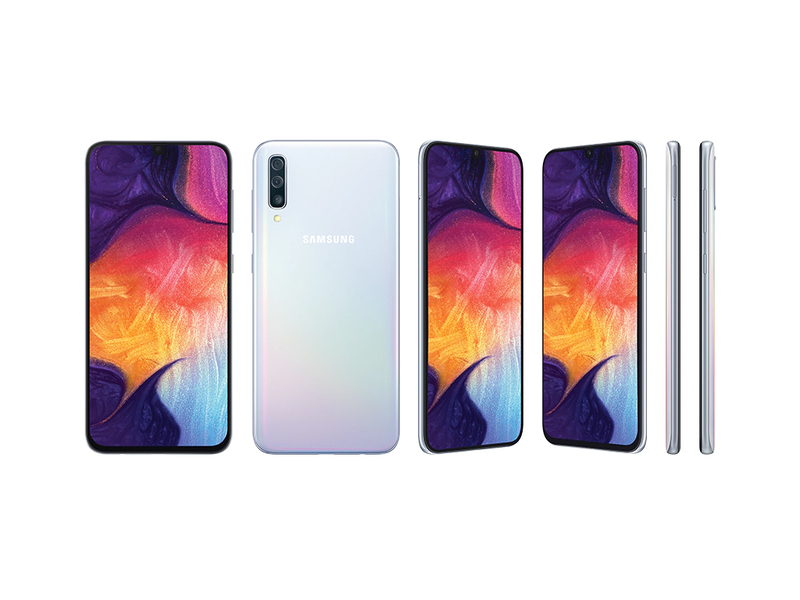 Samsung Galaxy A50 comes with a beautiful design language and the display looks immersive. The camera seems to be promising, while the performance and battery are to be tested out. As for the competition is concerned, the smartphone will face stiff competition from the Vivo V11 Pro, Nokia 8.1, Honor Play and Xiaomi Poco F1. There's lots of things that need testing out in the real world but the Galaxy A50 has the potential to be a great mid-range smartphone. 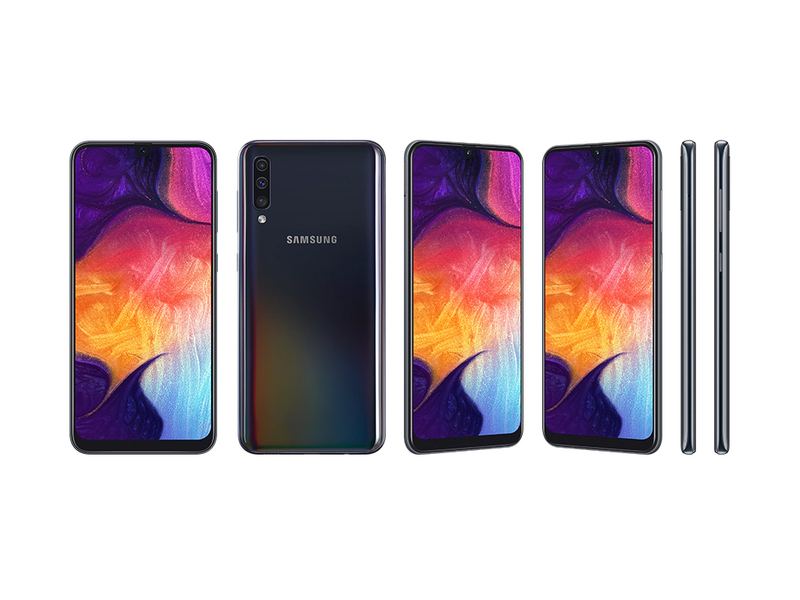 It's got Galaxy S10-esque features like a triple rear camera and embedded fingerprint scanner but without the high price tag. Samsung Galaxy A30 and A50 Hands-on, Quick Review: Mid-range Redemption? There’s no pricing set as of yet for both phones, but it’s clear that Samsung is positioning them at the mid-range segment of the market. We’re hoping Samsung has learned that pricing matters in the hyper-competitive mid-range segment, and prices both phones accordingly if and when they’re released in the Philippines. The Samsung Galaxy A50 is a big and bold device, which was very quick to navigate and use, but we're yet to be convinced by its camera capabilities. We would love to test this performance in more depth, though. So, hopefully, the Tab S5e stops by the office at some point. We're also kind interested to see how Samsung's new phone sync feature works. As per press materials, it should allow you to pick up a phone call on your tablet, without having your phone around just as you can with an iPad/iPhone combo. 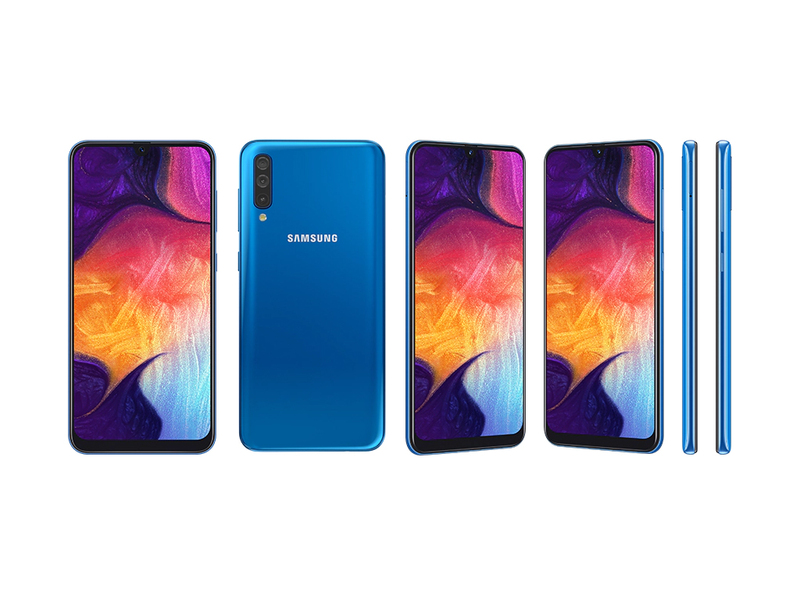 In the brief time that we have spent with the devices at MWC 2019, the Galaxy A50 and Galaxy A30 appear to be worthy successors to the Galaxy A handsets of 2018. The new naming convention aside, they offer a nice mix of features at what will undoubtedly be a relatively affordable price. The Galaxy A50 and Galaxy A30 will go on sale in mid-March with India most likely being the first country to get them. The sheer amount of localized content on the devices on display here suggest that much. Tại sao Samsung Galaxy A50 là chiếc smartphone đáng mua nhất hiện nay? 5 lí do khiến Galaxy A50 đang "gây sốt"
Trên tay Galaxy A50: Phiên bản "giá rẻ" của Galaxy S10? Mở Hộp Galaxy A50: Đây Mới Thực Sự Là “Bom Tấn” Của Phân Khúc Tầm Trung? ARM Mali-G72 MP3: En del nyare spel kan spelas med de här grafikkorten, men bara om de är mindre krävande. De har ändå tillräcklig kapacitet för kontorsbruk och film (möjligen högupplöst). Är grafikkretsen dessutom integrerad kan batteritiden vara utmärkt. » Mer information finns i vår jämförelse av mobila grafikkort och motsvarande benchmarklista. 6.4": Bara ett fåtal smartphones har större skärmar än så här. Större skärmar möjliggör högre upplösning så att detaljer som bokstäver blir större och jämnare. Å andra sidan är strömförbrukningen lägre med mindre skärmar och enheterna är överlag mindre, lättare och billigare. » För att ta reda på mer om skärmupplösning, läs vår DPI-lista. 0.166 kg: Den här vikten är typisk för smartphones. 81%: Det här är ett ungefärligt genomsnittsbetyg, eftersom ungefär hälften av de bärbara datorerna har fått högre betyg och den andra hälften lägre.